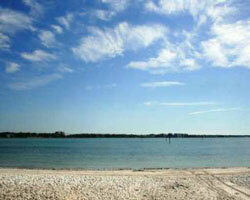 Clearwater Point is the southern most point on Clearwater Beach. It contains six (6) waterfront condominiums on the Intercoastal Waterway, the Admiral, Beach, Gulf, Island and Marina Houses, and Bayway Shores. The Admiral, Beach, Gulf and Island Houses open onto a beautiful private beach, with breathtaking views across the Intercoastal Waterway to Clearwater. Bayway Shores opens to a canal with boat slips at the back door. 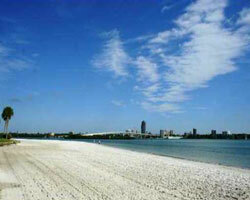 Marina House has access to the beach and views the Intercoastal Waterway and Memorial Causeway, the entry to Clearwater Beach. Admiral and Marina Houses condominium association rules require residents to be at least 55 years of age.